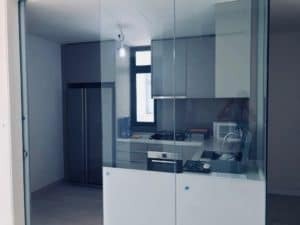 Home » Blog » Success Stories » Client Success-Story: “I rented out my condo in Singapore within 3 weeks using Propseller”, Tommy K.
Tommy needed to rent out his condo in Singapore as soon as possible because he needed to leave town quickly. 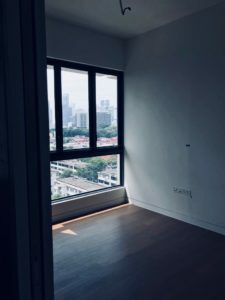 He turned to Propseller to look for an agent, left Singapore immediately after getting the keys to his new condo, and left it all up to this agent. Within 3 weeks flat, he got an offer for his unit! I am based in Malaysia and purchased a condo in Singapore as an investment. I was due to collect the keys soon and start looking for tenants! The problem is, I’m not from Singapore and don’t know any real estate agents here. Since I don’t live in Singapore, renting out the condo on my own would have been a huge challenge. The obvious choice was to hire a property agent, but where could I find one? I turned to Google and found a few different links, however, Propseller was the only one that stood out and seemed reliable. Propseller’s website was easy to use and smooth to navigate. I input a few details and the team called me back within an hour. After giving them more information about my situation, they recommended an agent named Thomas to me. I got in touch with Thomas and we agreed to meet at my property on the key collection date. Everything was going swimmingly so far! Collecting my keys was a breeze because Thomas was there to assist me. We ran through the list of defects together and he also explained how he was going to market my unit. Additionally, Thomas said he would take care of all the defect repairs and coordinate everything with the developers directly. I didn’t have to worry about a thing. I left Singapore that very night and left it all in his hands. Over the next 2 to 3 weeks, Thomas helped follow up with the developers about the defects list, got everything in order and we were ready for tenants. Getting an offer… it happened more quickly than I thought! After the defects were corrected, it was time to start doing viewings. To be honest, I have no clue how many viewings Thomas arranged in total. That’s how hands-off I was. All I knew was that I got an offer within 3 weeks and rented out my condo in Singapore really quickly. The tenant requested some curtains and light fittings to be put up, and Thomas helped me with that as well. My experience with Thomas and Propseller? A perfect 10/10. I was really satisfied with my experience with both Thomas and Propseller. I hear people saying that it’s hard to find a great agent, but Propseller made it easy for me. And of course, Thomas understood my requirements extremely well, and he managed to rent out my unit in just 3 weeks. I can’t ask for more than that! If any of my friends want to rent out a condo in Singapore, I’d definitely recommend Propseller. It’s a no-brainer!